Protein-packed prawns combined with vibrant herbs and spices mean a truly magnificent meal you can prepare for your loved ones. Prawns are known to be a perfect source of protein, rich taste, and a gentle touch of luxury at your table. Garlic, on the other hand, is a fantastic source of vitamin C and some other important nutrients. This meal will brighten up your entire day. Combine all ingredients in bowl. 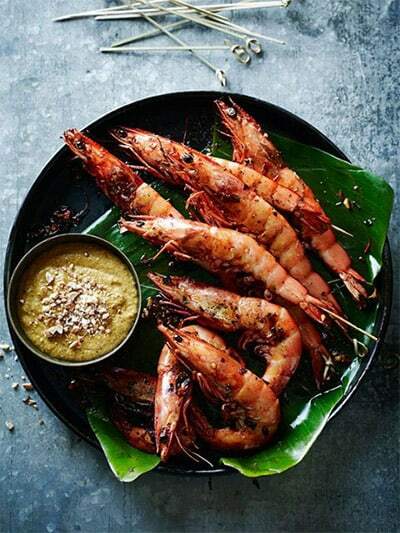 Place prawns in shallow dish, pour over sauce and marinade for at least 30 minutes. Soak satay stick in water, then thread prawns on sticks and grill on barbecue for two minutes only on each side, basting frequently with marinade.